It’s almost as if the person who created pea protein powder created it for things like pizza, wraps, and pasta sauces and then gave up the ghost before being able to tell anyone what he was doing. Then someone stumbled upon his creation, saw the word ‘protein powder’ and began marketing it as protein-shake material – as interchangeable with whey. But it’s not, you know? It’s not interchangeable with whey. It can’t be. It has a totally different texture and consistency and it’s a naturally savory powder. Of course, you can make sweet things with it (I make a lot of them myself!) 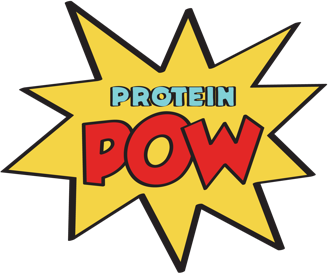 but what you MUST also do is take advantage of what pea protein powder has going for it that no other proteins do: the ability to deliver delicious high-protein savory foods like pizzas, pastas, and cheesy sauces. 2. Meanwhile, in a pot, mix the rest of the ingredients to create the sauce. Taste it as you go along to ensure it ticks all of your tastebuds’ boxes. Take the pot off the heat before the stuff begins to boil (you don’t want to cook the sauce, you just want to heat everything up and mix it together to create a smooth SA-oos). 3. Once the mac is cooked, mix it with the cheese sauce and BAM! You’re done. I added the cheddar powder for color mostly. It’s also great for adding extra cheesiness to the sauce but I did it to make it yellow-er. You COULD just use 1/2 tsp of turmeric for the job though so if it’s color you’re after and you can’t be bothered getting cheese powder, go with the turmeric. Do bear in mind though that the cheddar pow does add an extra cheesiness to the whole thing too. IMPORTANT PS: Click here to check out more protein pasta and high-protein pasta sauce recipes. I aggressively recommend you try my Low-Carb Béchamel sauce (the one I posted here). It’ll seriously change the way you make all kinds of cheese dishes – like cannelloni or cauliflower cheese. It’s phenomenal and so easy to make too! Here’s THAT recipe.